Thank you for your interest in being a Farmers Market Vendor at this year’s AgriSummit! Vendor Space is limited! Deadline to reserve your booth is April 12, 2019 at 5 pm. All vendors will set up their booth from 7:30-8:30 am. Booths will be in place all day. The days activities begin at 8:30 am. Registration includes a locally sourced lunch, breakout sessions, a keynote address and a silent auction. The day culminates with the Open House Hootenanny, a springtime celebration of agriculture that is free and open to the public. Participation in this spring farmers market is free of charge to current Foodshed Alliance Members. Non-Foodshed Alliance Members are also invited to participate for $75 vendor fee. 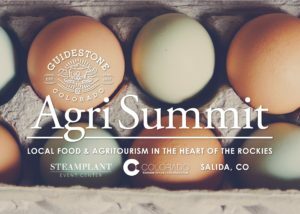 Or become a Foodshed Alliance Member at a ___% discount and participate in AgriSummit for free! Already a Foodshed Alliance Member? Email info@foodshedalliance.com to register. To register as a non-Foodshed Alliance Market Vendor, click HERE.